Skulls were often placed in sacred areas For protection against the enemy and to ward off evil. 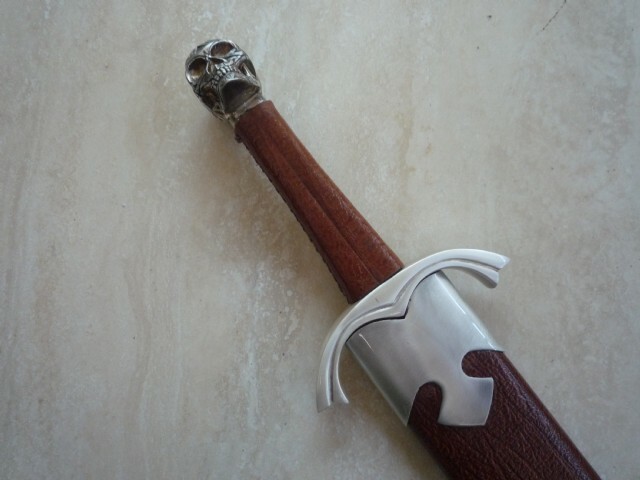 This large dagger is topped with a skull pommel with Celtic designs. 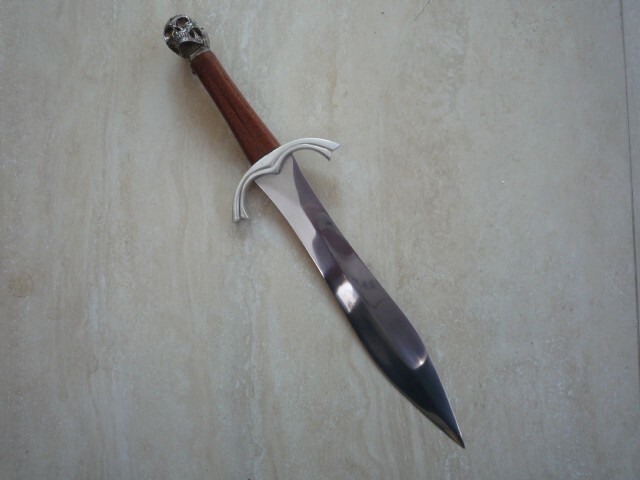 Stunning leaf shaped blade made from well tempered high carbon steel. Leather covered Hardwood grip and flared guard. 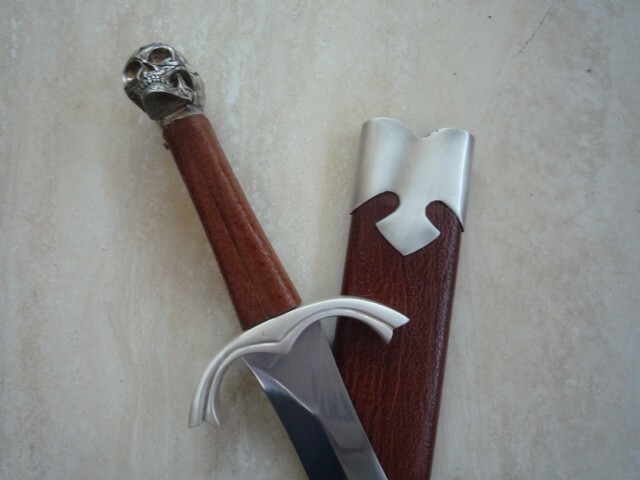 Comes with leather scabbard with matching parts.